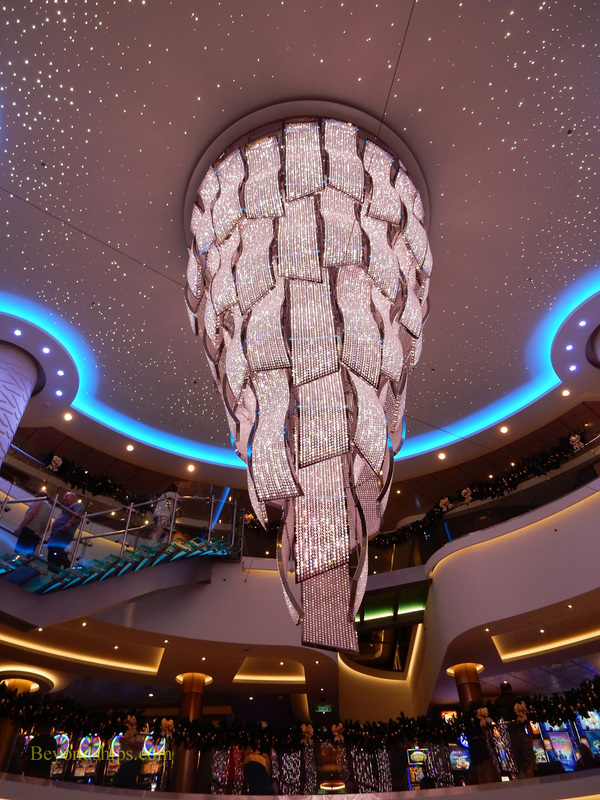 Above: A massive chandelier hangs down from Deck Seven into Deck Six. During the course of the day, it changes color. A giant LED screen in Escape's Atrium. Norwegian Escape was the first ship of Norwegian Cruise Line's Breakaway-plus class to enter service. 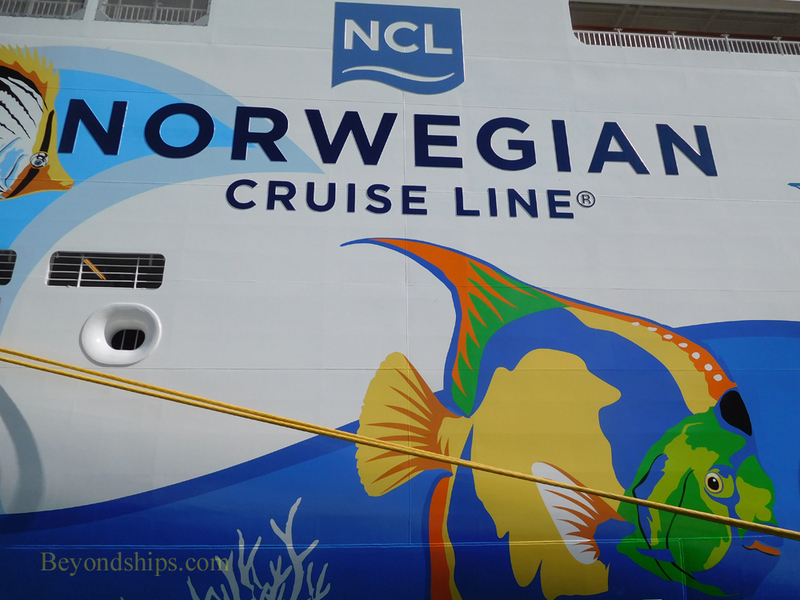 As the name indicates, she is a larger and enhanced version of the design used for Norwegian Breakaway and her sister ship Norwegian Getaway. While Escape is similar in many ways to her predecessors, there have been quite a few changes. These changes include new sports facilities, new bars, new entertainment venues and new dining venues. At the same time, attention has been paid to improving operations and bringing the quality of the dining to a new level. Consistent with Norwegian's overall Freestyle philosophy, the overall goal was to create an environment where guests would be free to vacation at their own pace. 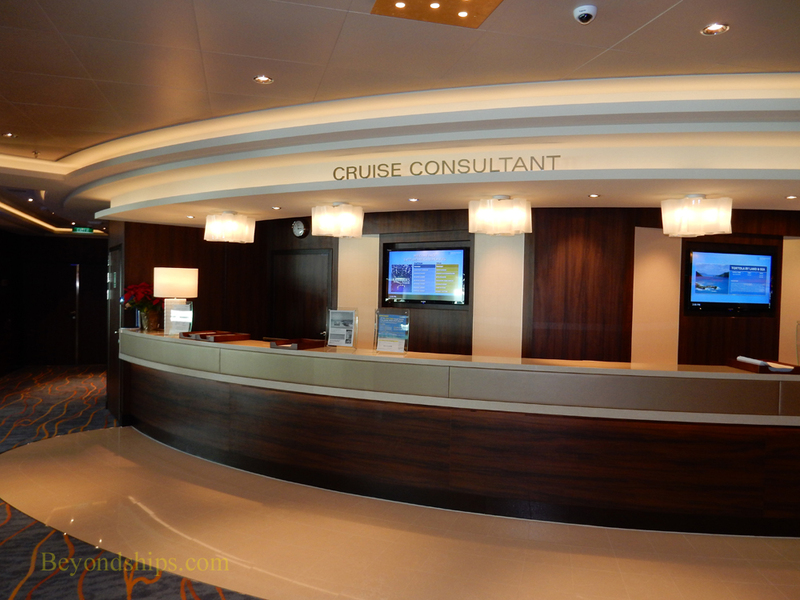 Moreover, the ship seeks to bring the Norwegian cruise experience to a new level of sophistication. Inasmuch as Breakaway and Getaway are big ships, it follows that Escape is a very big ship. There are more people but there is more to do. As a result, passenger flow is generally good. 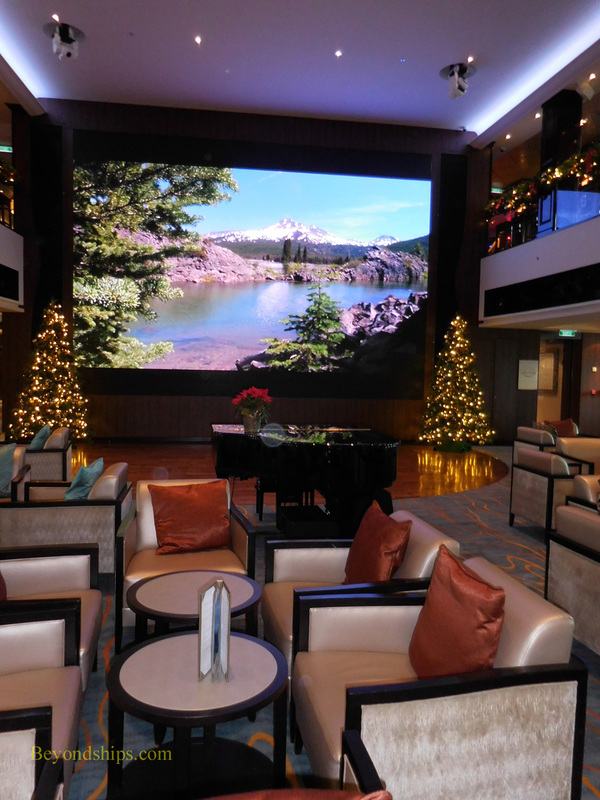 Escape is a family-friendly ship. A large area is dedicated to children and young cruisers. However, there are also adults-only areas and the primary thrust of the entertainment and dining towards adults. In a non-traditional but not unprecedented move, Norwegian arranged for Escape to have a male god parent. Miami-based rapper Armando Christian Perez aka "Pitbull" was made the godfather. This move underscored not just Escape's connection with her homeport of Miami but also that she seeks to appeal to a younger demographic than traditional cruise ships. 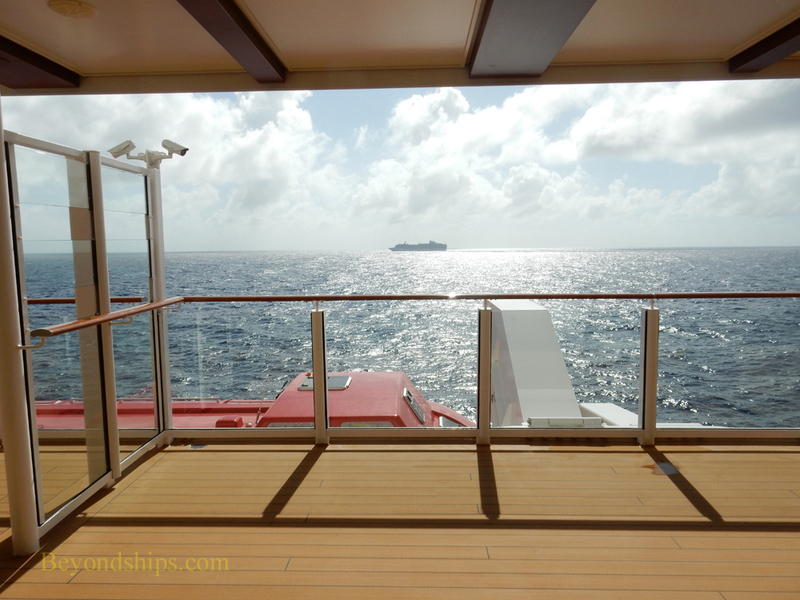 ​Wrapping around Deck Eight is the Waterfront. More than just a promenade, it has outdoor restaurants and bars as well as cushioned furniture. 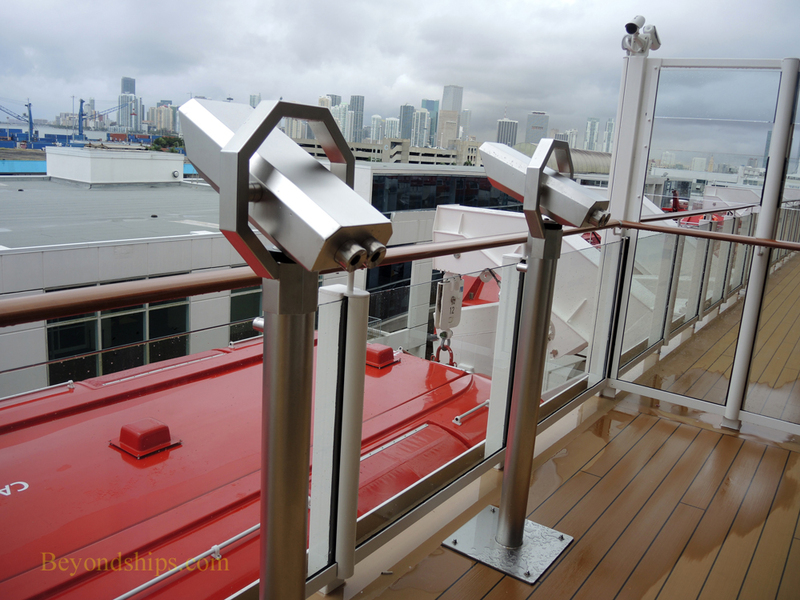 It also has binoculars for viewing the ports and passing ships. 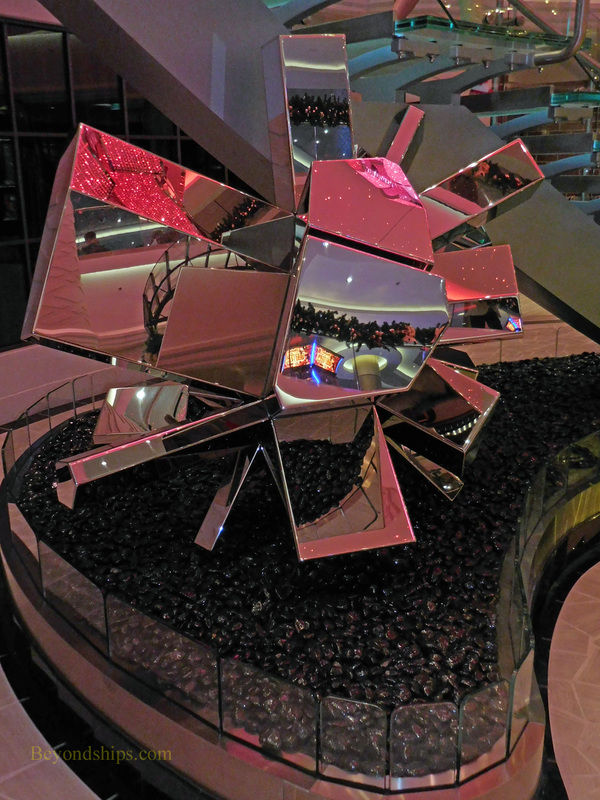 As has become customary on Norwegian Cruise Line ships, Norwegian Escape's hull is a work of art. The mural was created by marine wildlife artist Guy Harvey. 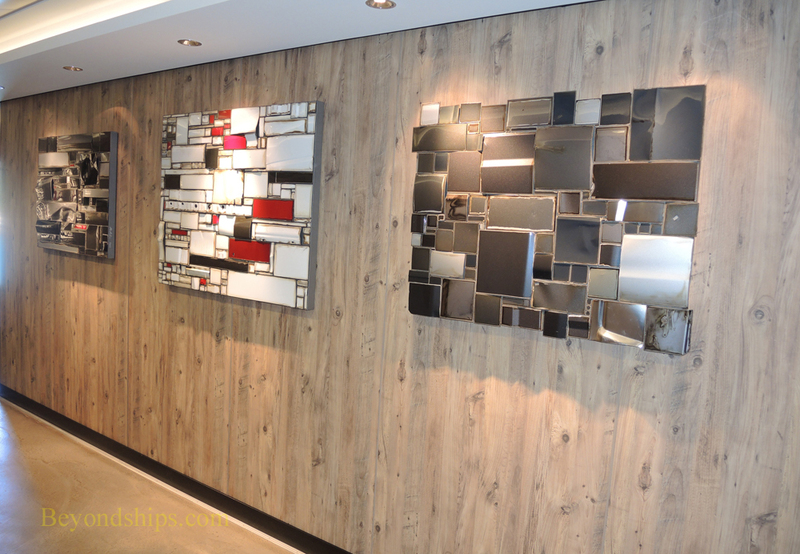 It depicts sea creatures native to the Caribbean. 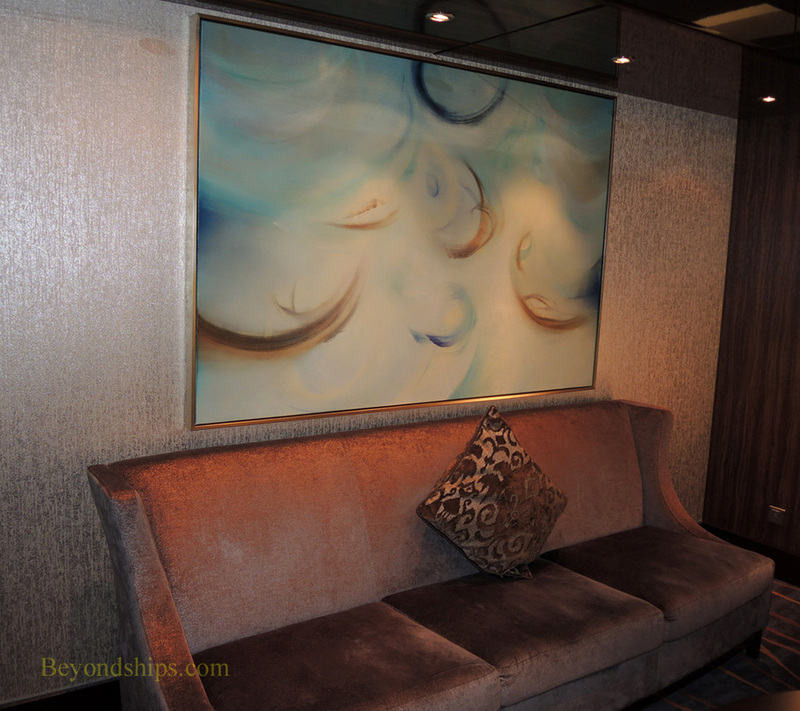 Inside, Escape's collection of contemporary art blends well with the ship's overall decor. 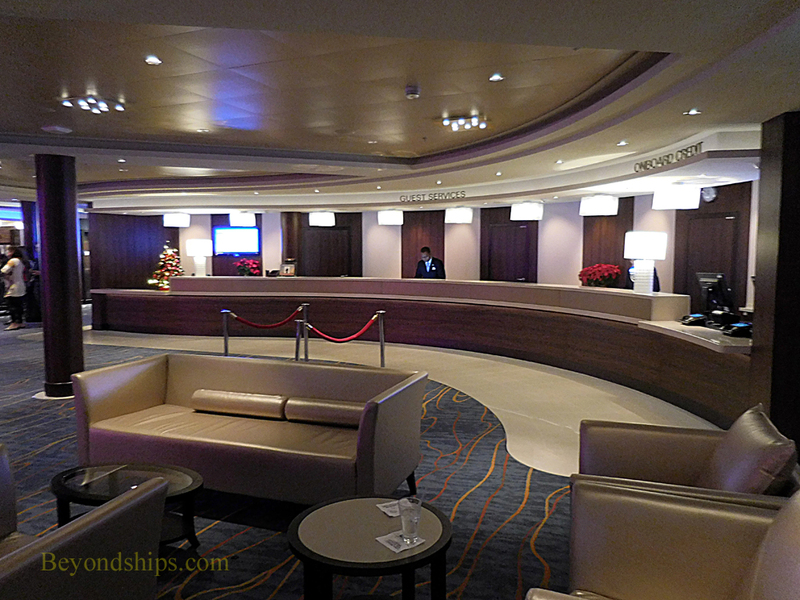 Located just off the atrium on one side of the lobby is the Guest Services Desk (above). 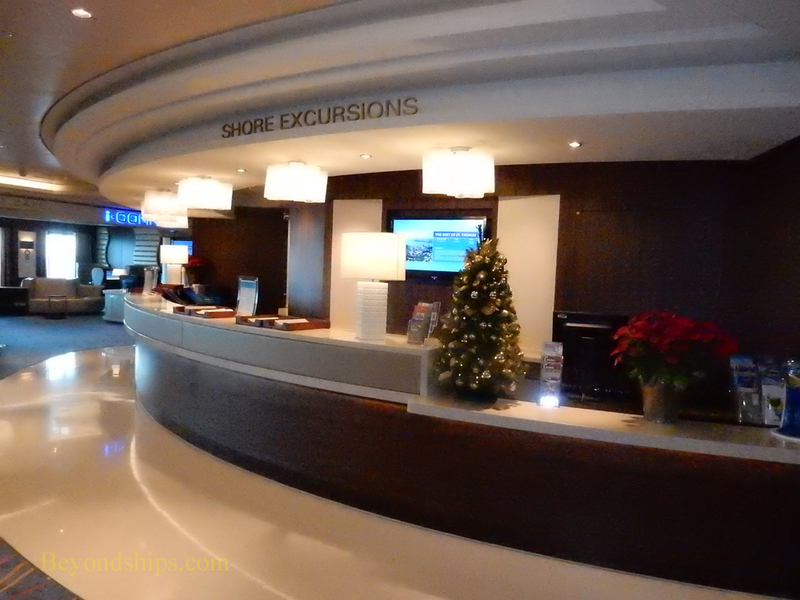 Across the lobby is the Shore Excursions Desk (above right) and the CruiseNext office (right). Also in this area is the Port Shopping Consultant's desk (left).